The New Dawn newspaper has learned from credible sources that the Government of Liberia through the Ministry of Information, Culture and Tourism has seized the Miss Liberia 2012 Crown and vowed to take drastic action against the sponsor of the pageant Cellcom and chief organizer CT. The government's action followed the controversy that characterized the declaration of the winner of the 2012 Miss Liberia pageant by CT early Sunday morning April 15 at the Executive Pavilion in Monrovia. The newspaper has also gathered the crown is currently in the possession of Deputy Information Minister Norris Tweah, while full investigation on the matter has been launched. When contacted via mobile phone, Minister Tweah confirmed the crown is in the possession of the Information Ministry, but couldn't say whether it was seized or not. Tweah also could neither confirm nor deny any pending actions to be taken against the two entities that organized and sponsored this year's pageant, but was however definite that the crown is not in the possession of Leda Knowlden or CT. 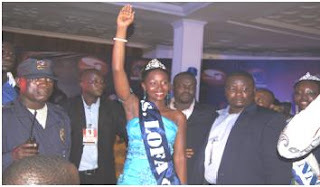 Judges from Ghana and Nigeria, who presided over the competition, disassociated themselves from the final decision that declared Leda Knowlden of Lofa County as winner. The judges said they have no hand in the decision taken by CT, organizer of this year's pageant in declaring Leda Knowlden as winner. 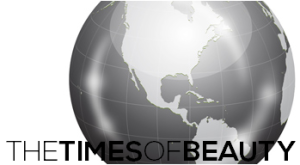 The issue has sparked debates both in Liberia and the Diaspora, thus raising concerns about what really happened on the night of the contest. The head judge of the competition, who is also Executive Producer of the ECOWAS Peace Pageant, Madam Maxine Menson said Leda Knowlden did not meet the standards set to become Miss Liberia 2012. "We absolutely have no idea on her announcement as winner; we never sent her name as winner; what we said is that she has the highest online votes from text messages and she is the most popular contestant but not the winner." Madam Menson said on the night of the contest, Leda Knowlden received one of the least marks among the 11 contestants. Though it is not clear as to what punishments await the organizers, there are reports that government was considering stern punitive measures for the embarrassing it has caused Liberia.